When you opt to leave your job after many years of service, be prepared to start a whole new journey of your retirement. Retirement can be exciting: you get to see your family and friends more often. You can spend your time focusing on yourself and discover what you want to do with your life. You deserve it after all. You have to enjoy the fruits of your labor! Now, will it not be delightful to retire at the comforts of your own home? To live in a place where all the memorable things happened? To see all those smiling family photos hanging on your walls every single day? Not bad, right? Of course, retirement is not always rainbows and butterflies. As you age, your body also starts to lose its strength, and you will be more prone to several health issues. Even though you won’t stress yourself with working anymore, you still need to preserve your health for you to have a happy and satisfying retirement. Getting sick will hinder all the possibilities for you to experience the perks of retirement. How about long term care in Denver, Colorado? If you have someone who can personally take care of you during your retirement, then you won’t have to worry about calling someone when you’re not feeling well or if the tasks at home are too much for you. It may also be beneficial for you to have someone who is readily available if you need to visit your doctor for an appointment or attend social gatherings. 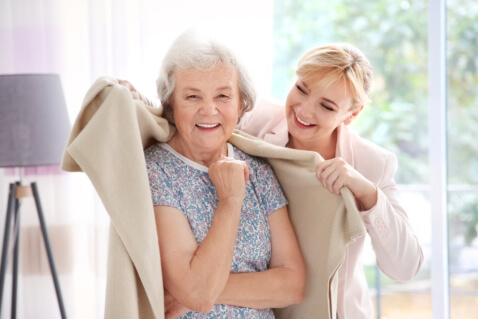 At Home Health Preferred, LCC, we perform careful evaluations first in regards to your care needs so that we can select and provide you with a skilled professional who can support you with your daily physical and mental health requirements. If you need 24 hour care services, then we have dedicated caregivers who can be there for you day and night. During the day, they can help you with light housekeeping and make sure your environment stays clean and orderly. They can also accompany you if you need to get medical checkups. During the night, they can prepare your bath and make sure you sleep in clean sheets. They can also give you light massages if you’re experiencing muscle tensions. If your needs require skilled nursing in Denver, Colorado, we have licensed nurses who can make sure you take your prescribed medications and remain healthy. They will also be in charge of taking you to the emergency room in worse case scenarios. If you want to give yourself a happy and satisfying retirement, prioritize on preserving your health first. When you are healthy, you will have the strength and energy to pursue your passions and interests. Avoid the stress of having to deal with health problems on your own. We are here to help you! If you have any tips or suggestions on how to live a healthy lifestyle during retirement, please share your ideas in the comment box below. This entry was posted in Home Health Care and tagged dedicated caregivers, remain healthy, Satisfying Retirement. Bookmark the permalink.